We maintain offices in Denver and Boulder, Colorado. Our practice is statewide, and (usually in association with attorneys in other states) extends beyond Colorado. Attorneys John Purvis, Bill Gray, and Mike Thomson are based in the Boulder and Denver offices. Attorneys John Purvis and Bill Gray have been recognized for many years in The Best Lawyers in America series. They are also Fellows of the International Society of Barristers, Fellows of the American College of Trial Lawyers, Fellows of the International Academy of Trial Lawyers, and members of the American Board of Trial Advocates. Only two other Colorado lawyers have been elected to all of those organizations. Members of the firm have taught at the University of Colorado School of Law. John Purvis has taught courses in Trial Advocacy, Advanced Trial Advocacy and Evidence. Bill Gray has taught Professional Responsibility. 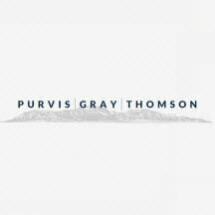 Purvis Gray Thomson, LLP donates a significant amount of its practice to pro bono representation.